Need your daily fix of free apps? We’ve handpicked 59 iPhone, iPad and iPod touch apps that are free today only. 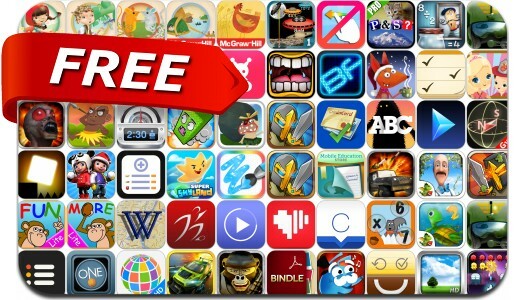 This apps gone free alert includes Bindle, Cardiio, Suitcases, Weather Motion, Parkbud, Monster Wars, Battle Monkeys, Legendary Wars, Home Screen Maker, Debt, Gardenscapes, Pilot's Path, DOOO To-do & Idea Note, A Monster Ate My Homework and many others. Free today with App of the Day HD Download the app "App of the Day HD" and discover every day a paid app that becomes free for 24 hours! Suitcases will be the answer to your daily unintentional forgetfulness! It is simple like a pen and paper! You can create your own checklists to different trips. To delete checklist – just swipe on it….